The best thing about the summer is the barbecue with friends in the evenings. 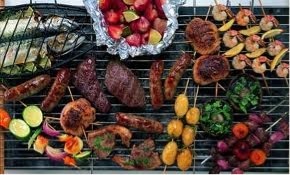 And the second best thing is that it is really easy to make a barbecue evening a la LCHF. Just take your favorite cut of meet, add some home made sauces based on sour creme or mayonnaise, alternatively some from the store but make sure they don't have any sugar (I'd stay away from the bbq-sauce...) Add some rocket salad, low carb vegetables (stay away from corn!) and you have a delicious low carb meal. If you're up for dessert get some cheese and wine or strawberries (not always but sometimes :)).